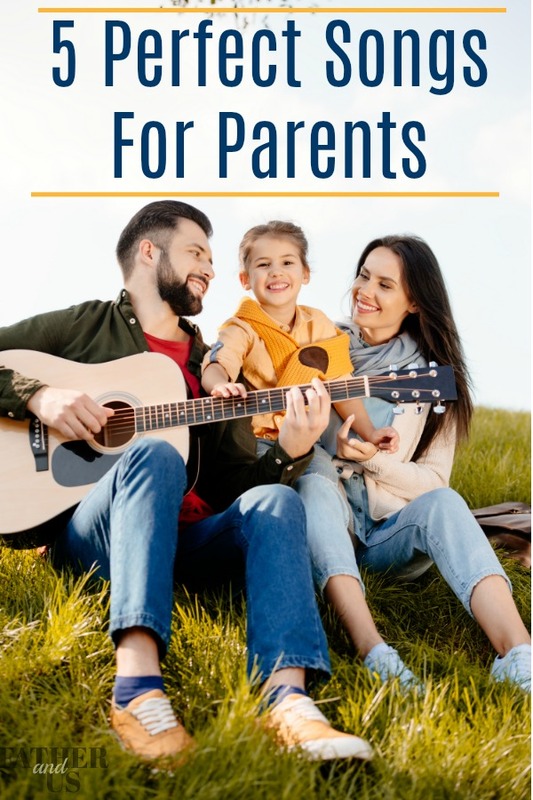 Best Father/Child Songs: My 5 Best Songs for Parents. 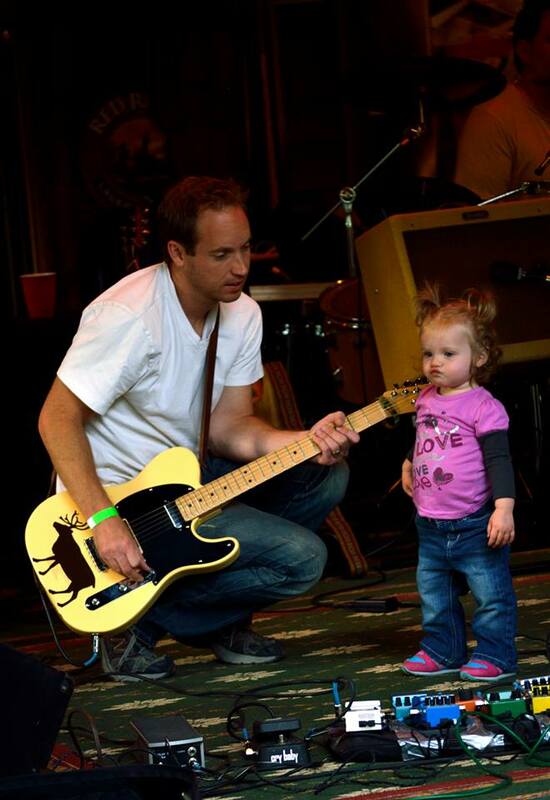 My daughter, Caroline, crashing the stage at one of my shows. I have always been a huge music fan. This deep passion for music most likely stems back to my father’s own love for it. I can still remember driving in the car with him when I was about 5-years-old and “Tangled Up In Blue”, by Bob Dylan came on. He looked back at me with a serious expression on his face and said, “Joe, this is a really great song. This is what good music sounds like”. From there, I took “good music” seriously, always looking for the next great thing. I believe that I got this drive from him. In fact, I often hear stories about how his father, my grandfather, would often entertain guests by playing the piano in the living room of their home. What I’m saying is, music is something that has been passed down through the generations. I think that this is why when I hear really good father/child songs, they mean a little more to me than other songs. Here is a list of 5 best father/child songs. I wanted to pick some songs that you may not have heard of before or had to tolerate at a wedding. I don’t think they are too cheesy (although they may be and that is ok). These are in no particular order, I love them all equally. Ben Folds actually has two songs on my list of 5. I’m not even a huge Ben Folds fan but I absolutely love these songs. He gets the tone just right. He has equal amounts of heart and humor. The song doesn’t take itself too seriously and I think that is what really gets it to strike home. I remember hearing this song for the first time when I was about 13-years-old. My father (of course) had a Cat Stevens album. This is a dialogue between a father and a son, with each one taking turns speaking throughout the song. The lyrics are solid, but, like with many great works of art, it is the performance that delivers it. Cat’s (or Yusef Islam as he is called now) voice pierces through my heart at times with both authority and vulnerability. At times, your not sure who is more vulnerable in the song, the parent or the child. As a parent, I feel this way sometimes. Really great song. This one may be getting dangerously close to being a little too cheesy but I absolutely love it. This is a gorgeous song by a really cool and prolific artist, Ryan O’Neal who goes by the Moniker Sleeping at Last. Please read how he wrote and produced this song for some more insight. You sometimes think that a song is just some words and music put together, but the beautiful thing about it is that there is often much more there. There is a story behind it. I like to picture him writing this as his daughter is first learning to walk. This certainly makes my list of best father/child songs. My second entry on the list from Ben Folds. This is the first song that I thought was one of the best father/child songs after I actually had a kid. This is another masterpiece that mixes humor and heart that gets me totally on the right level. I love that it is simply a “fight song” for his son, to tell him to keep on chugging along and to keep on fighting until you succeed. “And you’re. So much. Like me. I’m sorry”. What dad can’t relate to that line? This isn’t so much a song from a parent to a child as one of the best songs for my parents I have ever heard. I see it as a grown son or daughter telling his aging parents to enjoy this time of their lives. Retirement, grandchildren, etc. This is one of those songs that you could listen to 10 times in a row and hear another great line that really means something to you every time. This is my list of the best father/child songs out there. The great thing is that I am sure that there are more I haven’t discovered. If you know of any, leave them in the comments and I’ll check them out!